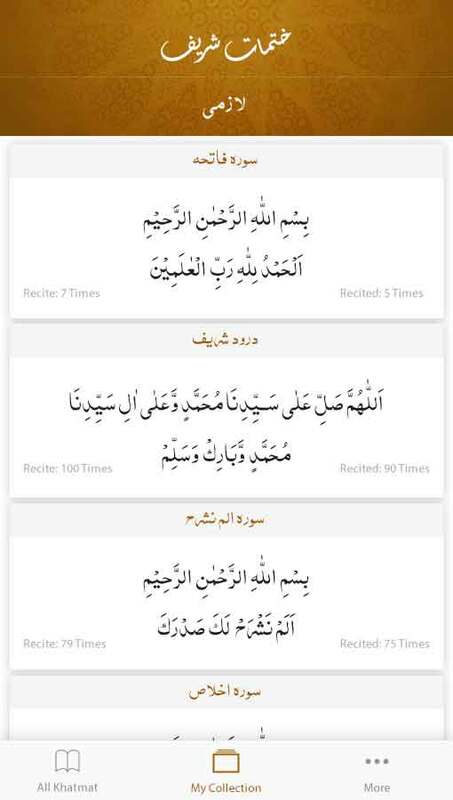 The chain of narratives Mujadidians has given one of their precious information in form of KHATMAT SHAREEF, which is read before meditation, and reward is given to the elders. 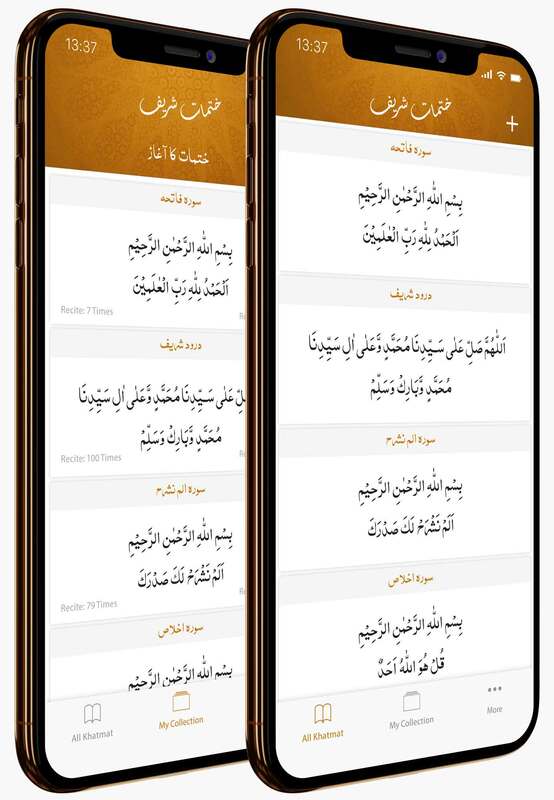 Khatmat Shareef is being presented to readers in a new and digital way, providing ease for the readers in Recitation and maintaining a Tasbeeh Count. 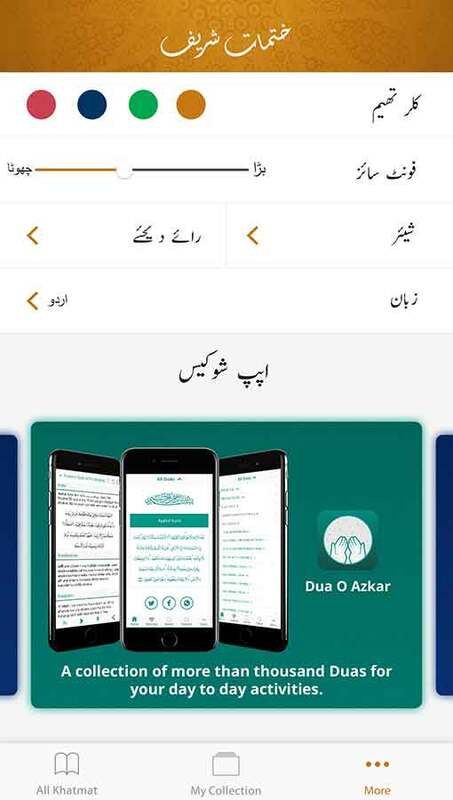 Multilingual feature give readers content in English and Urdu Language. In fast moving world of technology smart phones have provided almost everything for their users. 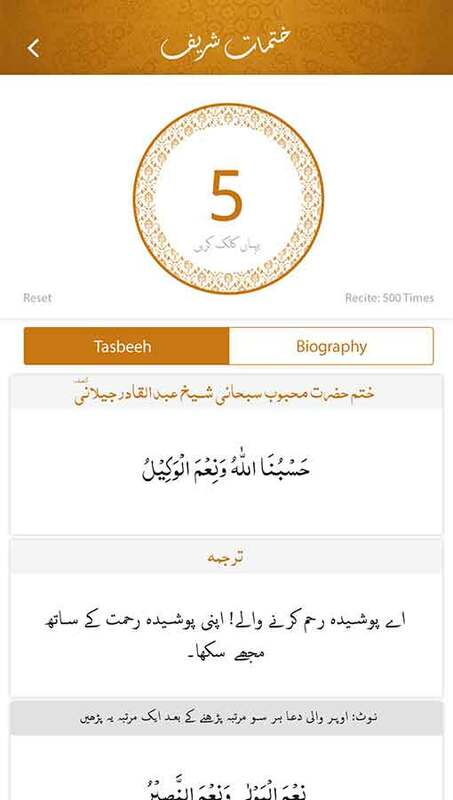 This mobile application provide complete list of Khatmat Shareef on your smart phone. 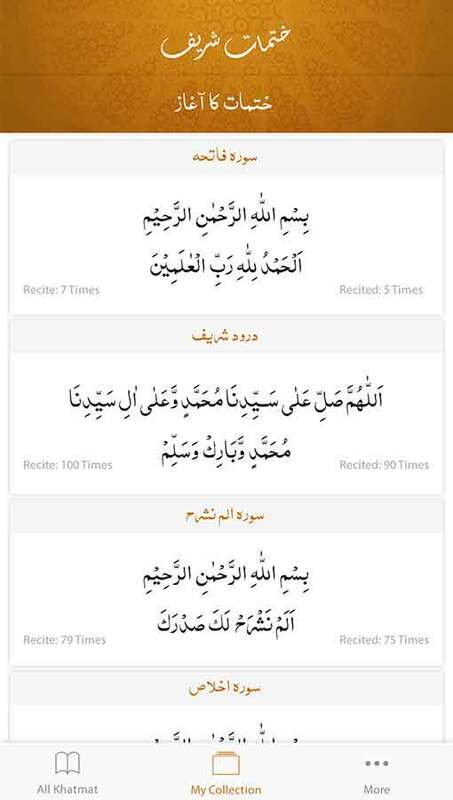 Readers can manage their own collection of Khatmat for their daily routine. Multilingual attribute gives user a choice to see content in their preferred language.